During the Georgian Era, cast iron fireplaces were very much in vogue. These eras span a significant length of time, from King George I to George IV, beginning 1714 and carrying on right trough to 1837. 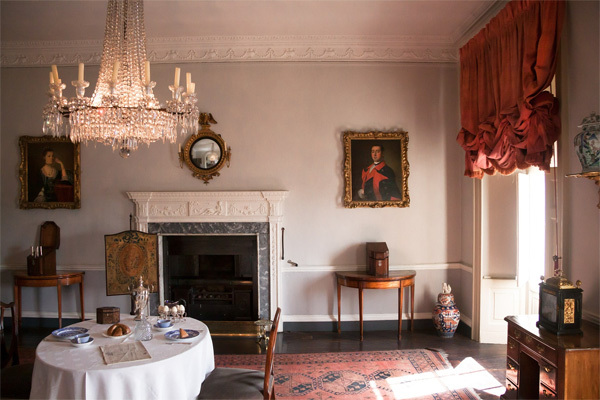 The Regency period, which ran from 1811 to 1820 is often thought of as a ‘sub period’. The popular fireplaces of this era were the key focal point of the room and were often built to grand proportions. As these fire openings are still present in British housing stock, renovation projects might address replacing the cast iron fireplace if it is in poor repair as well as recreating a quality hearth on which the cast iron structure might stand. FireTile supply a range of hearth tiles that are frequently used by interior designers and home owners to restore these classic fireplaces. Particularly popular choices here are our slate hearth tiles and our porcelain fireplace tiles. 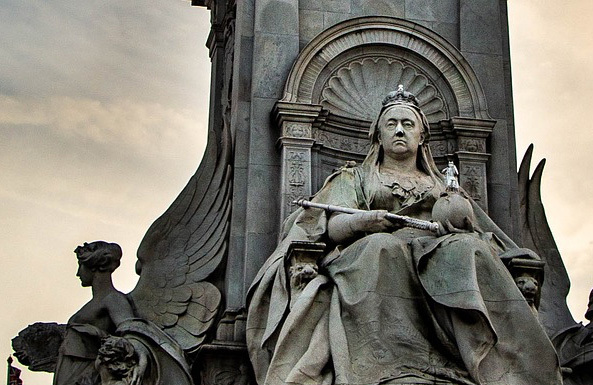 Queen Victoria was the longest reigning monarch in British History. She ruled from 1837 right through to 1901. Many of the classic properties of this era survive to the present as they were built to last from quality materials. 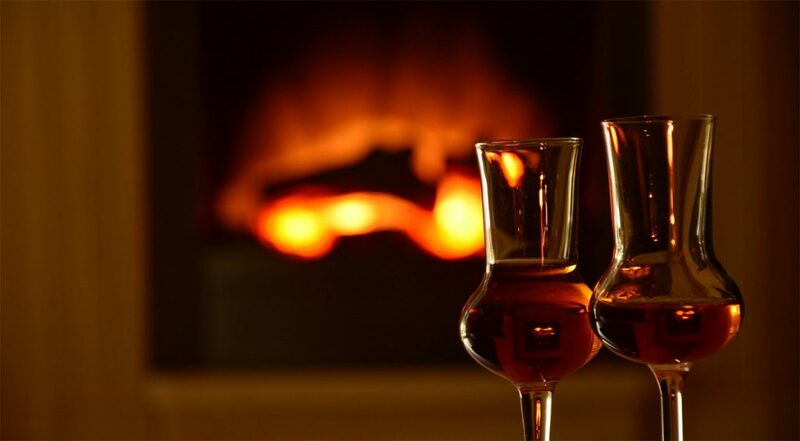 There were two main types of fireplace that were prevalent during this era. Early and mid Victorian era fireplaces were often very ornate and floral in character. 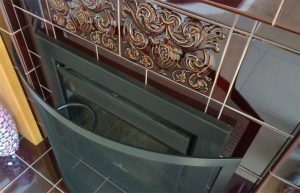 These fireplace castings continue to be a very popular choice. 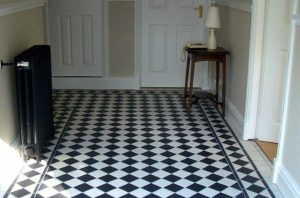 By the late Victorian era, styles had shifted from the ornate to simpler, more geometric styles. 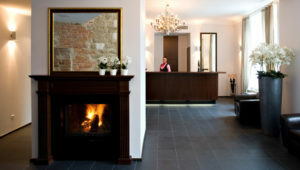 The fireplace tiles used during this period reflected the wider shifts in interior design fashion and taste. Interestingly, today, both styles have seen a resurgence as whether in use or not, a fireplace still forms the centrepiece of a lounge. 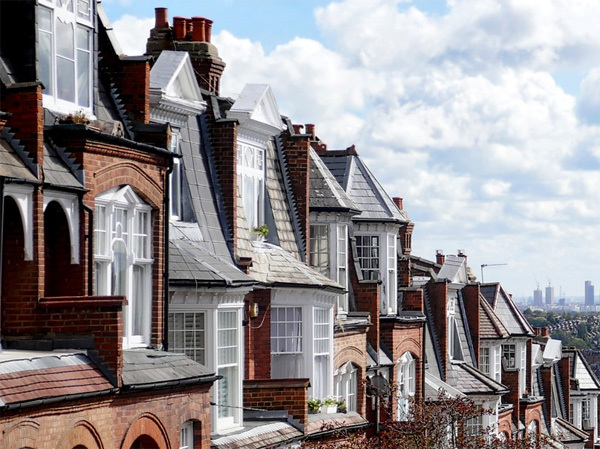 People looking to add authenticity and character to period properties, from architects to home owners often target key period features which anchor the concept of the property in the era appropriate to the building. 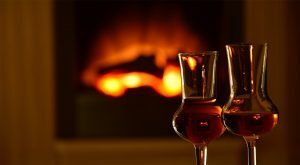 Aside from the popular tiled fireplaces of this era, other forms of fireplace were also prevalent including marble fireplaces and wood fireplaces, both of which followed the evolving design trends of this era. 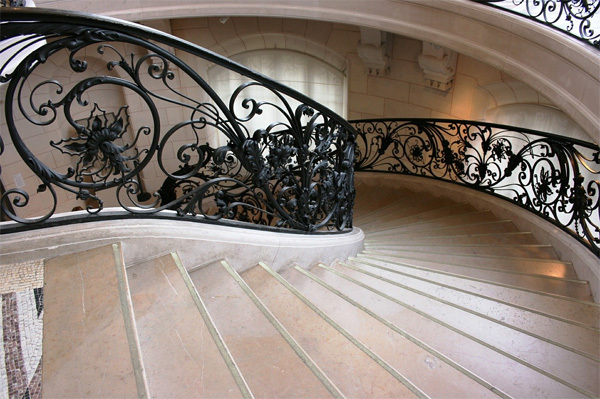 The Art Nouveau period is an important step in the evolution of design and is perceived as the ‘bridge’ between the earlier Neo-classical style and the Modernist styles that followed. The era spanned a relatively short period of time, yet was very energetic and swept round the world from perhaps the early 1880’s through to 1914, with its greatest popularity spanning the 1890’s to 1905. The design motifs established by this movement found their way into the design of key interior features, not least the fireplaces that still grace the homes built during this period. 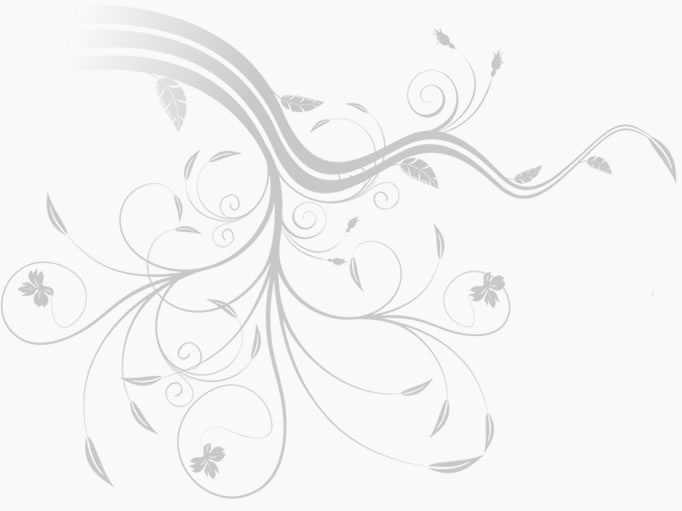 Designs became more dramatic with designs that were highly organic and incorporated many floral and plant inspired motifs. 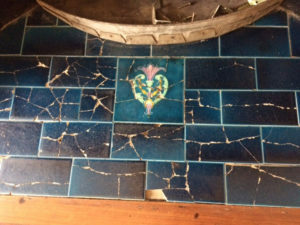 Restoring the fireplace tiles of this era requires specialist fireplace tiles, often coupled with plain hearth tiles in colours to compliment the main colour scheme. The Edwardian Era overlapped with the Art Nouveau Era and broadly spanned the years between 1900 and 1920. The fireplaces of this period, and particularly those constructed during the earlier pre-war years made extensive use of fireplace tiles as a feature. In many ways, the design notes of Edwardian fireplaces were reminiscent of those of the late Victorian Era. The fireplaces of the Edwardian era were usually made from cast iron and as time past the design of those fireplaces became gradually both taller and slimmer. 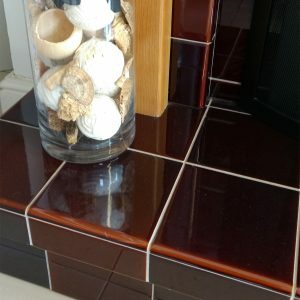 Concurrent with these changes in fireplace shape was a further simplification of the tile styles, with plain coloured field tiles becoming the main style motif. During this period there was also a change in the design of the internals of the fireplace, with cast iron inserts with tiles gradually became less prevalent. During this period they were gradually being replaced by canopies on legs. These structured incorporated large angled panels either side which covered the space between canopy and the fireplace surround. 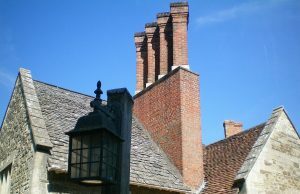 Traditionally fireplace tiles were placed in purpose built areas in the cast iron structure, during this period, things changed and canopies on legs used tiled panels which were then placed at angles to the canopy. In the middle of the Edwardian era, cast iron combination fireplaces which incorporated fireplace tiles became very popular. 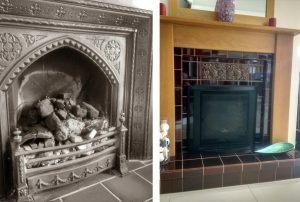 These Edwardian Fireplaces were similar to tiled cast iron inserts seen in the earlier Victorian period, however they were also distinct from them, having simpler designs and a surround included in the cast iron structure.